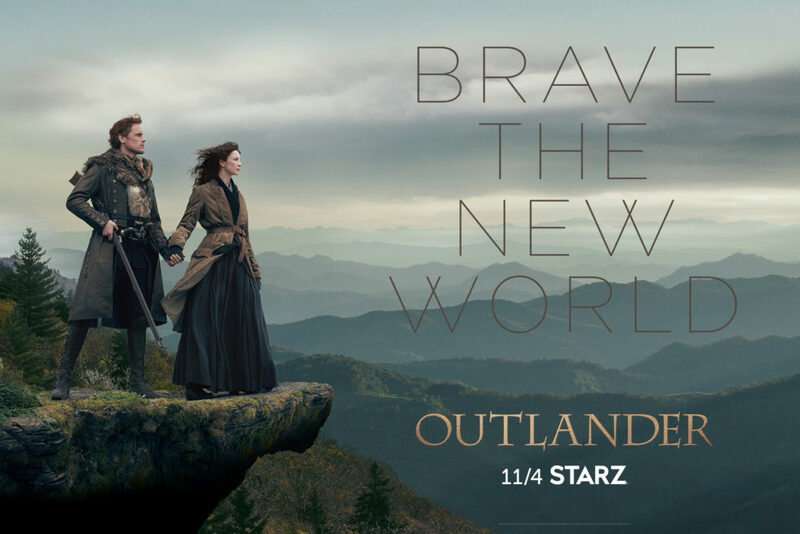 Season Four of “Outlander” continues the story of time-traveling 20th century doctor Claire Fraser and her 18th century Highlander husband Jamie Fraser as they try to make a home for themselves in colonial America. We find the Frasers in North Carolina, in a place called Fraser’s Ridge at yet another turning point in history – the cusp of the American Revolution. As Claire and Jamie build their life together in the rough and dangerous backcountry of North Carolina, they must negotiate a tenuous loyalty to the current British ruling class, despite Claire’s knowledge of the bloody rebellion to come. Along the way, the Frasers cross paths with notorious pirate and smuggler Stephen Bonnet in a fateful meeting that will come back to haunt the Fraser family. Meanwhile, in the 20th century, things heat up between Claire and Jamie’s daughter, Brianna Randall and Roger Wakefield, the historian who helped search for Jamie in the past. But as they grow closer, the young couple realize they have very different ideas about the future of their relationship. However, when Roger and Brianna search for proof that Brianna’s parents reunited in the 18th century, a shocking discovery makes them both consider following in Claire’s footsteps. This entry was posted in TV Show News and tagged Season Four, Synopsis by Sarah Ksiazek. Bookmark the permalink.